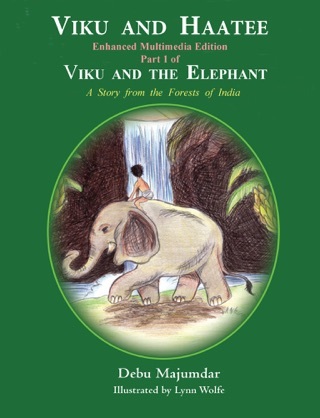 This is a sequel to the multimedia iPad book “Viku and Haatee” and continues the story of a boy named Viku and a young elephant, Haatee, in the jungles of India. They became good friends by helping each other. In this story, ivory poachers take Viku hostage and force him to show them where elephant tusks are hidden in the jungle. 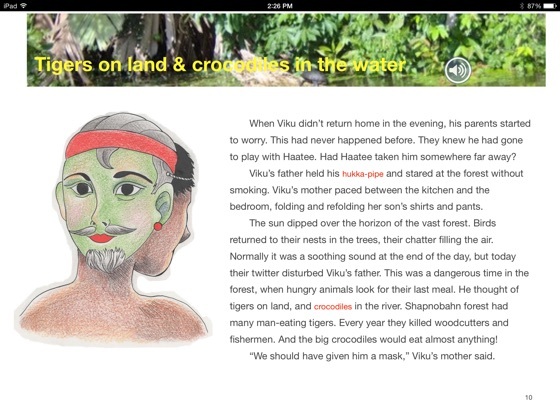 The poachers threaten to kill Haatee if Viku doesn't help them. 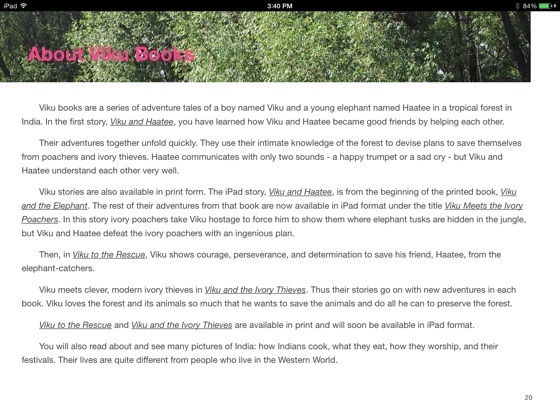 Although frightened, Viku and Haatee manage to defeat the ivory poachers with an ingenious plan. 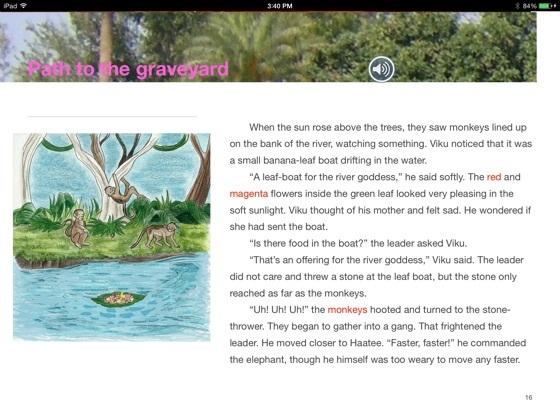 This iPad multimedia story brings an enjoyable and interactive experience to children. They can read the story or, by pressing a button, have the text read to them - page by page. The author narrates the story to bring the Indian ambiance alive. Readers can click on highlighted words to know more about the words or see photos of what they mean. Photographs and sounds from India – tigers, elephants, monkeys, snakes and birds – fill the pages with surprises and excitement. Details of life in India are part of the story – how Indians greet each other, what ordinary people eat – all at the stroke of a finger. 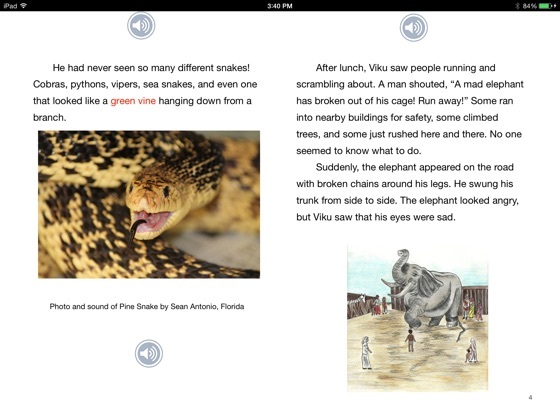 There are 12 illustrations that bring the story alive and 26 Pop-ups of words or photos to enhance the reading experience. 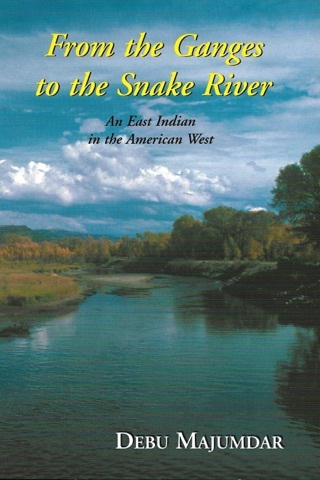 A great book for both the story and cultural knowledge. In the words of Librarian, Susan Seefeldt, their adventures have "enough suspense and action to keep the attention of the children who are just beginning to take on the complexities of longer and more challenging chapter books....a chance to vicariously fulfill a dream....Whereas Horton, Dumbo, and Babar (lovable as they may be) are elephants one might want to befriend, one does not encounter them in their natural habitat. This heightens the vicarious experience of the reader." Debu Majumdar has written an exquisite book. The story of a young boy's life and interaction with the Animal Kingdom tugs at one's heart. Written for young children, this book highlights universal themes like integrity and friendship. 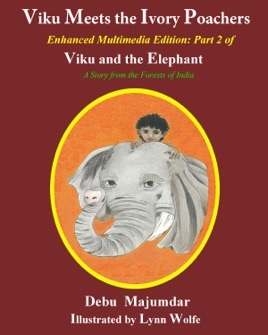 While Debu Majumdar's book "Viku Meets the Ivory Poachers" is based in rural India, the moral of the story is universal. 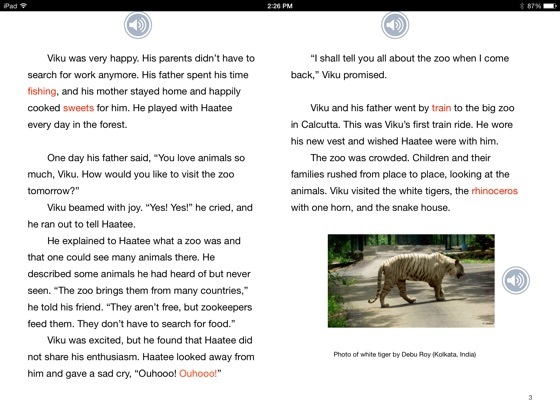 The story is about a young boy, Viku and his humanistic feelings about animals. This is great story and my daughter liked it very much.